You must be wondering how can someone earn money just through blogging? You can surely earn a good amount of money if you are blogging provided your content is excellent. Why I am giving stress upon quality because the Adsense program will serve escalated ads on your website. Based on the type of your of content, the Adsense income report can be drafted. And if you are aiming to make money with Adsense, you have to fulfill what your audience is demanding and that too of a higher quality. Google Adsense is a program is run by Google. The program allows the publishers around the Google network of content sites to offer automatic text, video, images, advertisements to name a few. All of this is directly targetted towards the site content and the audience. Moreover, every ad is picked and sorted by Google as per its decorum. So this gives the liberty to the content creators to generate income on either per click or per impression basis. So now you have written a good blog and it is out there in the audience. Also, when you are noting down the analytics and you can see that you have received 1000 pageviews a day, which is a good number to start with. So let’s calculate how it will all go. 1000 page views mean you are getting on an average 5 clicks per day. Therefore, 5 clicks per day = 150 clicks per month. So if the Cost-Per-Click os $0.20, then for 150 clicks it becomes $30 per month. So it all depends on the clicks, if the audience is clicking on the ad placed on your blog, you are getting paid for it. Of course, you would want to earn more but for in order to escalate your earnings, you will need good quality traffic. And a quality traffic can only be received from the search engines. And if you need more traffic, you need to publish more posts and blogs on your website along with quality backlinks. So when all of this comes into conjunction, you will start earning the good number. Thus, let us discuss, how much more can you earn to set a place for yourself in the online market. Here are some tips that you can go with. Now you must be thinking who will entertain you to write on their website. But do not worry as there are many websites that accept guest posts. 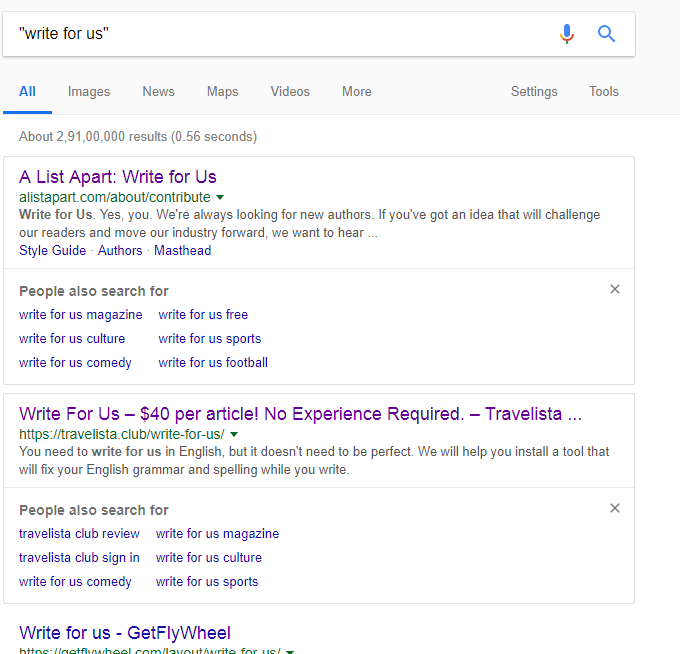 All you need to do is just search on Google as “write for us” and you can find many good websites that accept guest posts. You will find many websites in your niche and then you can start submitting your posts to them. And if your content is original and unique then it will get published. If you are writing for other sites then it also creates a different place in the market. The audience sees you as an expert in your field. If you want more people to reach to your blog then you will have to do many activities on social media as well. This process is a bit tedious but it is worth it. And for that, you need to find the groups related to your niche and join those groups. For instance, if you write blogs on photography, then find groups related to photography, there are tons of photography groups that you can find on Facebook. So once you join them you can start sharing the link to your blogs in those groups. But in order for people visit your blog, you need to be active on those groups. If your content is really commendable then you can approach influencers from your niche to promote your content. If you consider the cosmetic brand Maybelline then you can see that the brand survives only on influencers and it has influencers from all around the globe. Your content should be relevant to the influencers and once the influencer accepts to promote your content it will reach to thousand more people and the reach will surely increase. In order to gain more page views then you have to write more and more on your website. Also with the changing algorithms of Google, your website needs to be updated on a regular basis. Why I am saying this because Google gives preference to those websites which have fresh and original content while ranking when someone searches for a particular keyword. If you are willing to write more, then you must search for relevant keywords related to your niche. And this can be done with the help of Google Keyword Tool Planner. Once you get your set of keywords, include them in your blog in a proper manner. Also, do not stuff your blog with too much of the keywords as it will make the content completely irrelevant. So keep it crisp and most importantly relevant. Google Adsense program is a really better thing for the content creators as you only have to do is write good stuff on a regular basis and you are good to go. Also, with the incorporation of Google Auto Ads, which uses machine learning to smart placement and monetization of the ads on your part. So it basically saves your time. Therefore, there are many new things that are coming in and it is creating a tough fight between the bloggers to win the race of superiority. I am suggesting to aim for bigger numbers when it comes to the page views. Because if your page views increase your average daily clicks will go up and automatically your monthly income will get higher. Currently, if you earning are between $40 to $50 per month, which is not all bad, work hard and let all the numbers grow so that you can see yourself in the front page of the Google rankings and moreover at the top of everyone. Keep writing and keep rising with every step! I want to know, Page RPM and Impression RPM will also add the money with 1000 page views or its totally depend on Click?